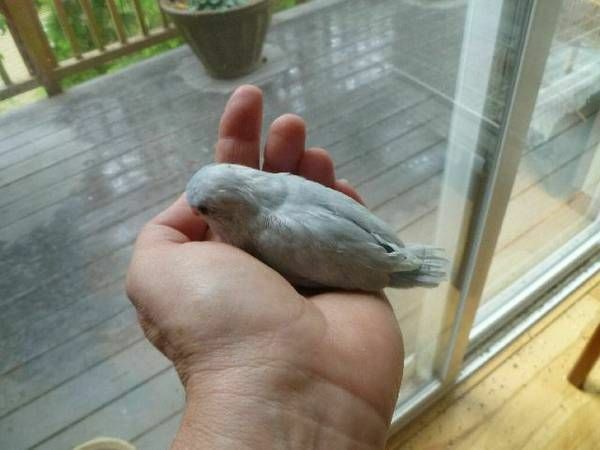 I just responded to a CL ad for a baby American white mutation Pacific Parrotlet. I did get a reply back, and it sounds promising. We'll just have to wait and see what happens. Edited by msdani1981, 06 July 2014 - 10:22 PM. Is a parrolet the same as a budgie? Beautiful colouring. What a little cutie! I've never had a parrotlet, but have always pictured their personalities as being similar to lovebirds. That's probably all wrong, though. Their personalities are similar to Amazons, actually. They are big birds in little bodies. I've been emailing back and forth with the owner, and she's a very small scale breeder. Zach and I are going to meet her and the baby (he's 12 weeks old) tomorrow or Wednesday. I'm so excited!!! I've been wanting a Parrotlet for years, but the bird shop Zach and I went to didn't have them very often and when they did, the timing was off for us. A few years ago, the shop closed and I lost my source. I'm soooo happy to have found another one close by! 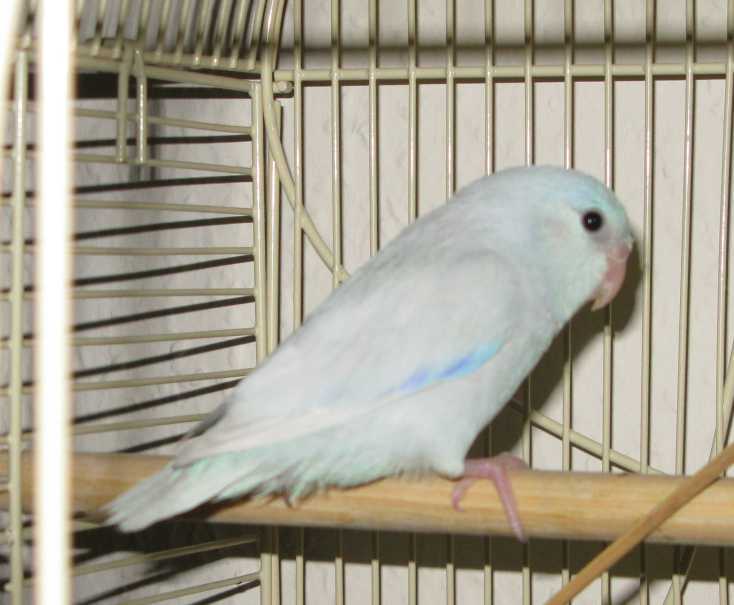 Very tame parrotlet, dilute blue male. Raised as an only baby and given hours of attention every day. He is already starting to eat a variety of fruits and vegetables so will not be a fussy eater. Rehoming fee of $150. OMG, I can't wait to see him!!!! Good luck Dani-- hope it works out for you. Parrotlets are great little parrots-- very pretty and plenty of attitude, much like Quakers. And they're small so they don't take up a lot of space. Zach: If we get another bird, where are we going to put it? Me: I don't know, I'll figure something out! Zach: Hmm...not a good answer. Yippee!!!! We have an appointment at 3:00 tomorrow!!!!! My husband finally put his foot down and said we had enough pets. So I went and got a new betta after three of mine died. LOL Hey, that's still two fewer than we had before. Well, Zach is not very enthusiastic about the idea of bringing another bird home, but we'll see. I was throwing out ideas about where to put another cage, and he said "Let's see if you even like the bird before we start making plans." I said "But if I like the bird we'll have to have the cage setup figured out." and he said "Well, either way we're not bringing him home today. We'll come home and talk about it." The breeder is very nice and knowledgeable. The baby Parrotlet doesn't step up, but that's okay...he's VERY sweet so it would be easy to train him. He loved burrowing under my hair. So, here is the dilemma...this woman raises Parrotlets, Bourke's and Lineolated Parakeets. She is currently feeding a 3 week old Rosy Bourke's, and they are really sweet birds, make great pets and are more laid-back than Parrotlets. That's the decision I have to make. Do I really want a Parrotlet or a more laid-back bird? I'm going to think about it tonight and decide tomorrow. Any words of wisdom are much appreciated. Edited by msdani1981, 08 July 2014 - 08:00 PM. "No, no, no - stay focused. You have always wanted a parrolet so stick to the plan. He obviously liked you. Talk Zach into letting him come home and go and get him tomorrow. Dont be distracted by others." My first reaction is, well, is two more so much more than one more? But, I understand spouses have to be considered. Mine would surely object to that. 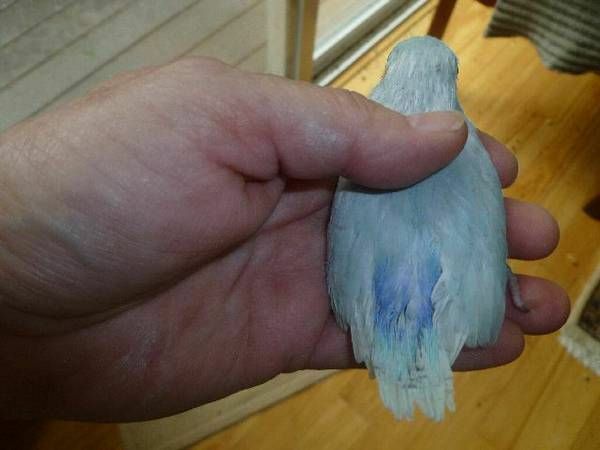 For me, once I held that little parrotlet, it would be all over. I commend you for being able to walk away and think about it rationally. What is it about a more laid-back bird that appeals to you? Is it easier to get hubby's buy-in? That is something I would have to consider, even if I didn't let it make the decision for me. Still, if I had always wanted a parrotlet, I'd get a parrotlet. The decision is made - the Parrotlet is coming home! Now I just have to get a hold of the breeder. My new baby is coming home at 6:00 this evening!!! Yay!!!!! !